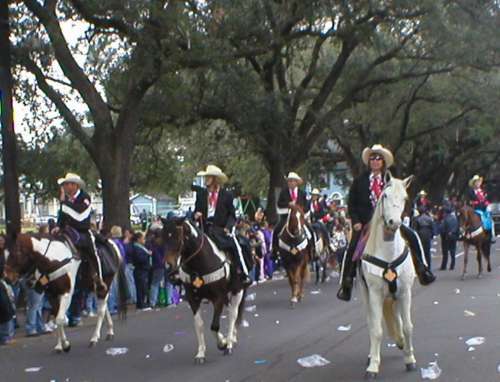 These are some of the cowboys er cowladies that rode in the Mardi Gras Parade. I asked them to please throw me something Maam. They gave me beads and I said thank you Maam. The trash on the ground is not a problem. The success of Mardi Gras is measured by the tons of trash picked up when the day concludes.